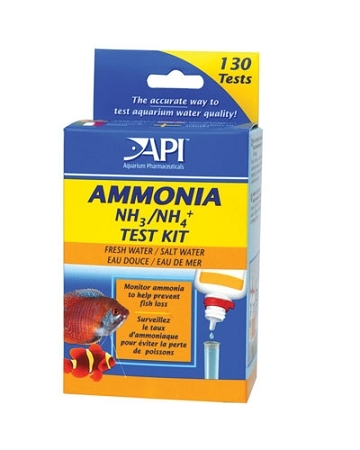 Every hobbyist should test for Ammonia. All living things excrete ammonia and it is deadly for fish in both aquariums and ponds. 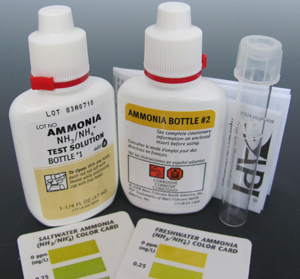 API ammonia test kits are easy to use and will accurately measure ammonia from 0-8 ppm. Even small amounts of ammonia will stress fish and larger amounts will kill so this is an easy way to prevent fish loss. Each test kit contains a two-bottle test, API flat-bottom test tube with cap, two laminated color comparison charts and complete instructions including remedies for removing ammonia.